The skiable area in la Clusaz reaches its peak at 2600m. 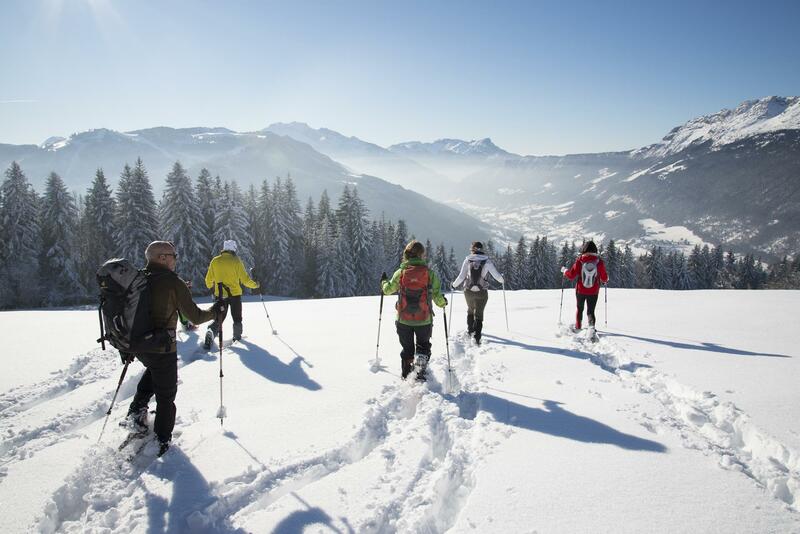 The domain stretches over 400 hectares, for a total of 132km of slopes over 5 interlinked massifs (Balme, Aiguille, Etale, Manigod and Beauregard). 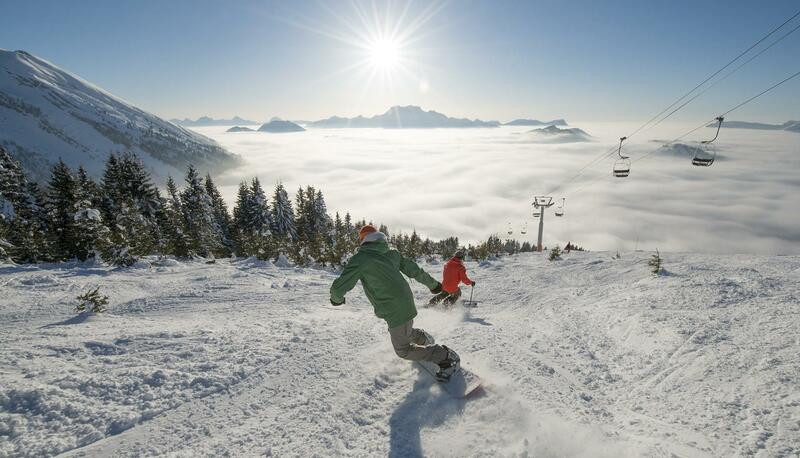 There is something for everyone here from the occasional skier to the confirmed freerider. The exceptional and beautiful Beauregard, Etale and Manigod massifs are perfect for families and laid back skiers while the Balme and Aiguille massifs provide the slopes that require more technical aptitude. The central ski is pass office is directly opposite the hotel. Residents of the Hotel Christiania can benefit from preferential equipment hire rates from the service point at Sport Boutique which is only 50m from the hotel. Different individual and groups lessons, organised according to your level and your needs are available from the French Ski School (ESF) and other ski and snowboard schools for beginners to confirmed skiers. Children from 3 to 6 years are welcome at the Club des Champions child minding service. During a day at the Club des Champions, children of 3 to 6 years can enjoy a lesson with a ESF instructor. Don’t forget to book! 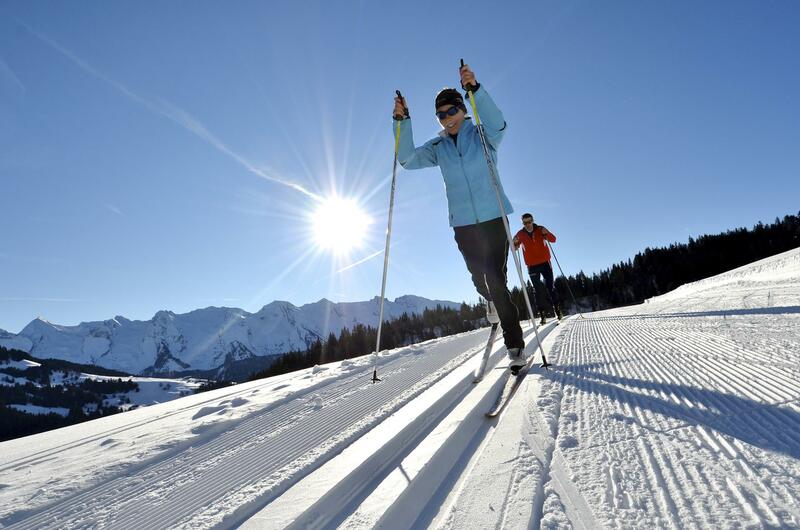 La Clusaz has the largest cross country skiing domain in the Haute Savoie. Get away from it all in the breathtaking Nordic area in the Confins and the Beauregard plateau where you can try out classic style or skating Nordic skiing or for the more confirmed skier take to the red or black slopes where Vincent Vittiz used to train. 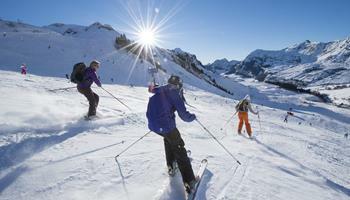 There is a multitude of activities for those who just want to get back to nature in La Clusaz. You can go for a walk or snow shoe walk on the Beauregard Plateau or around the Confins. 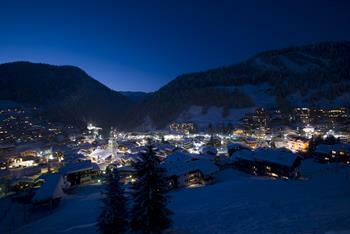 Children will love the sledge runs in the village or on the Bossonnet slope. There is a packed entertainment programme throughout the season with some unmissable events that have stood the test of time and have become an integral part of the year in La Clusaz: The Pestacle de Père Noel at Christmas, the 6 resort rugby tournament, the Full Moon and the all-important torch-lit descent by the French Ski School instructors.